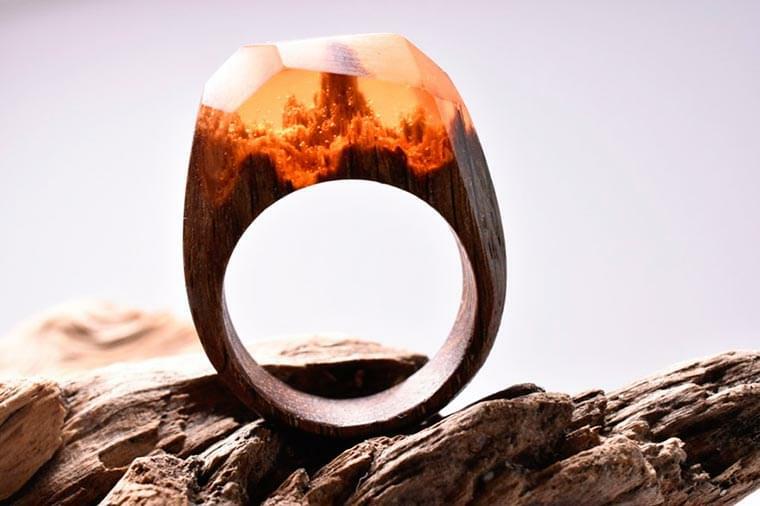 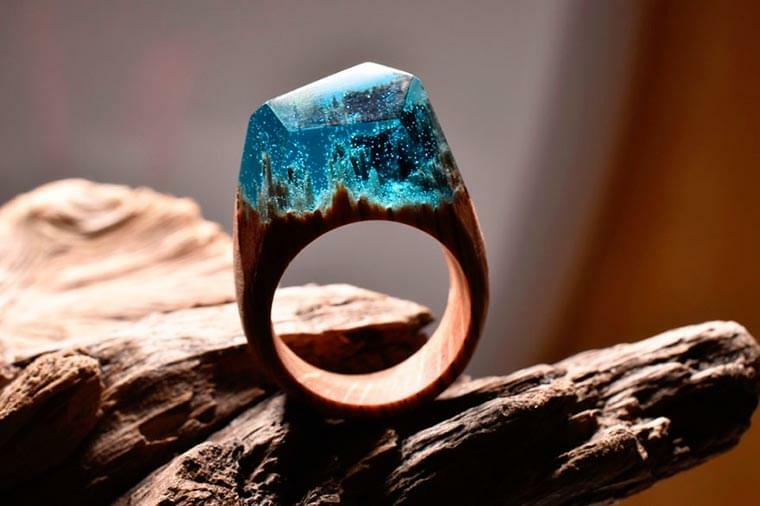 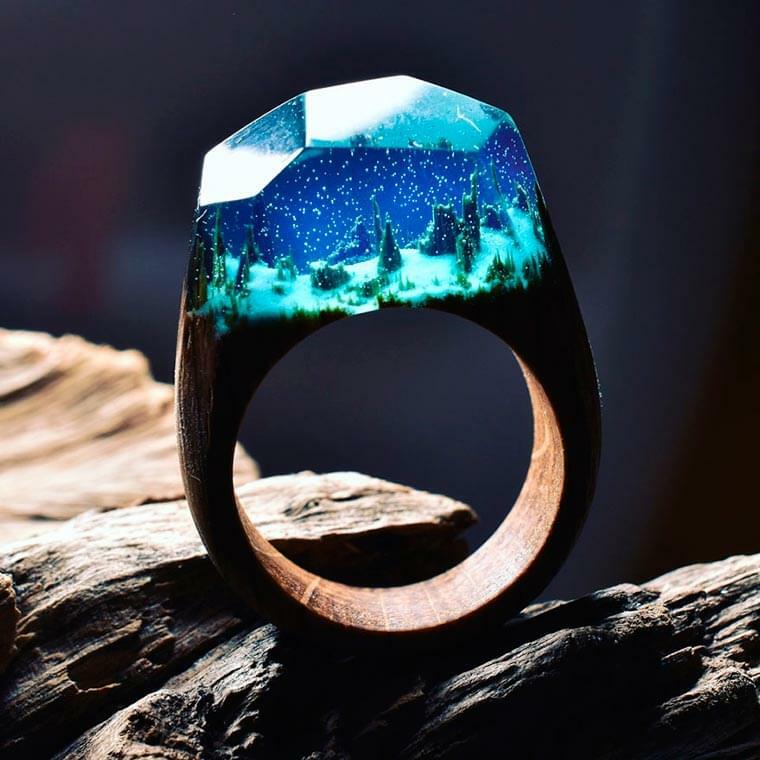 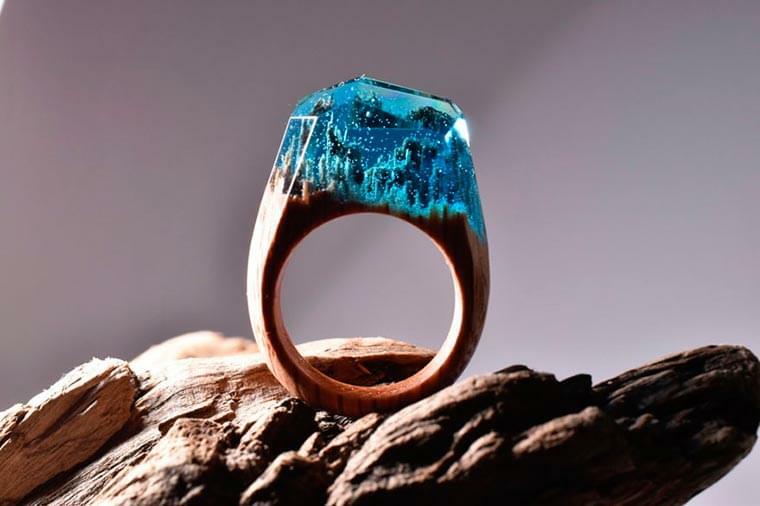 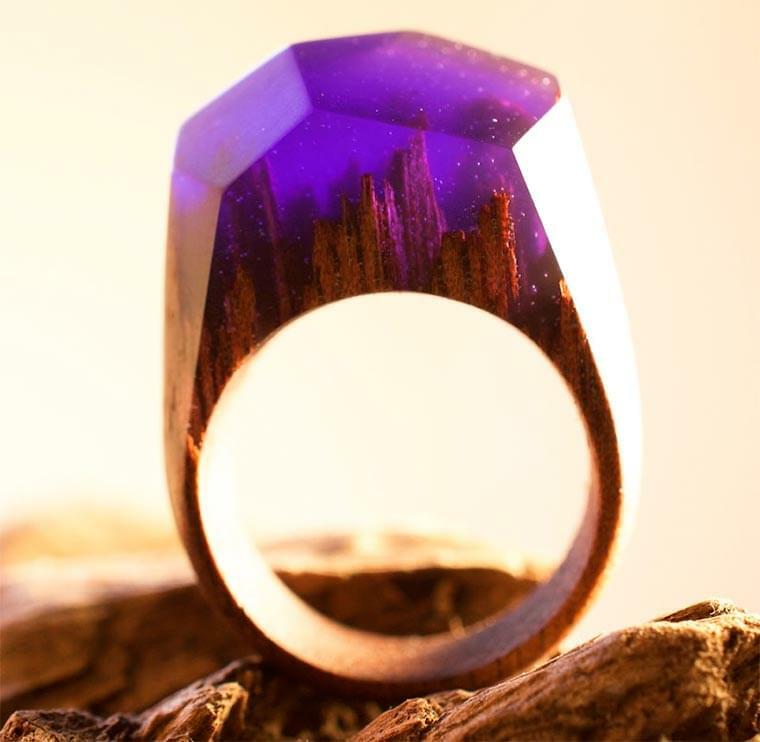 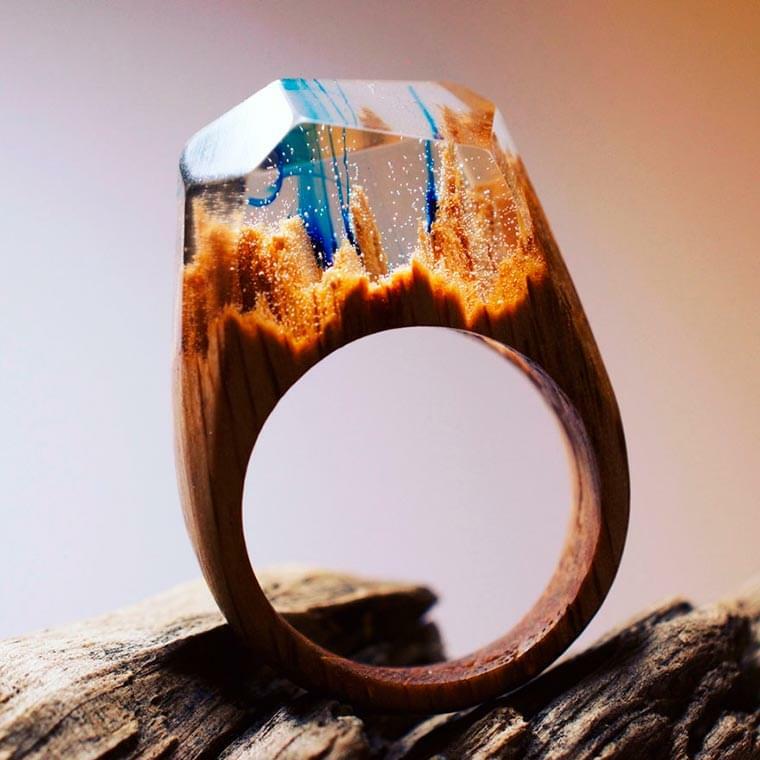 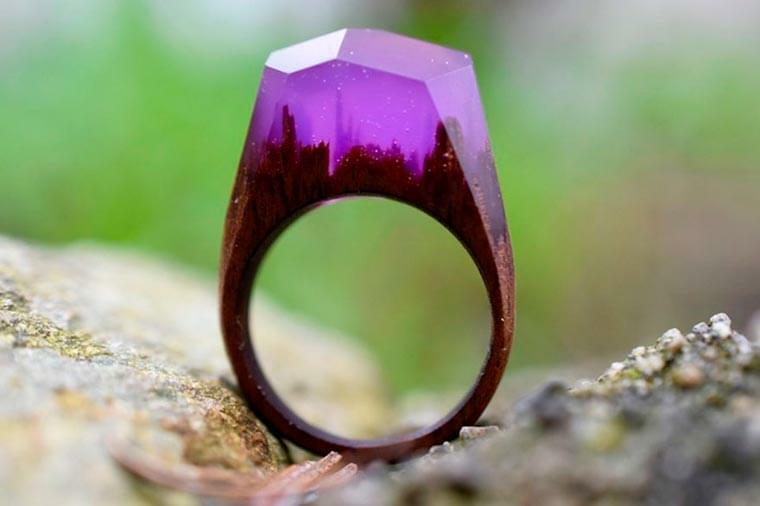 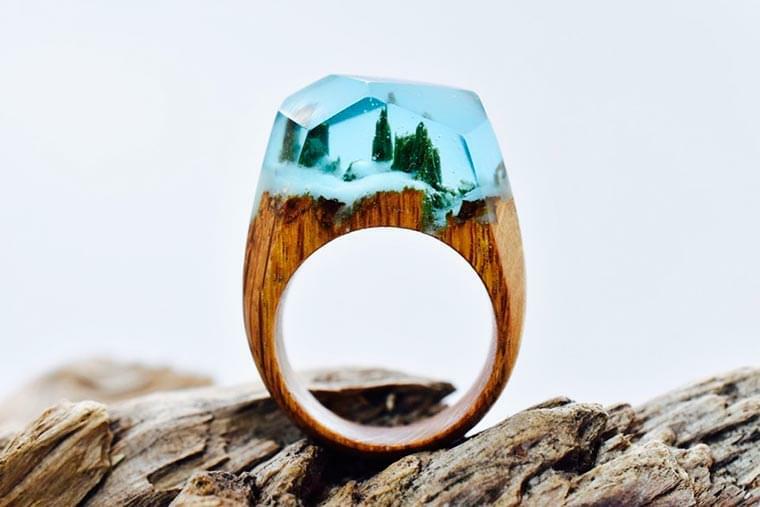 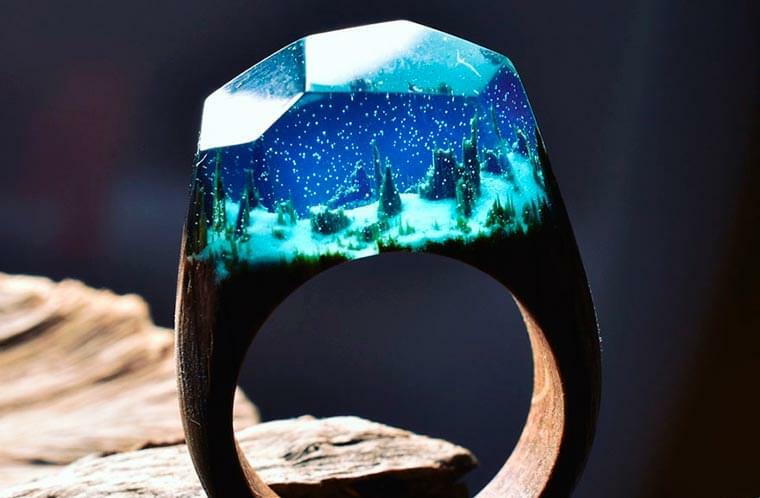 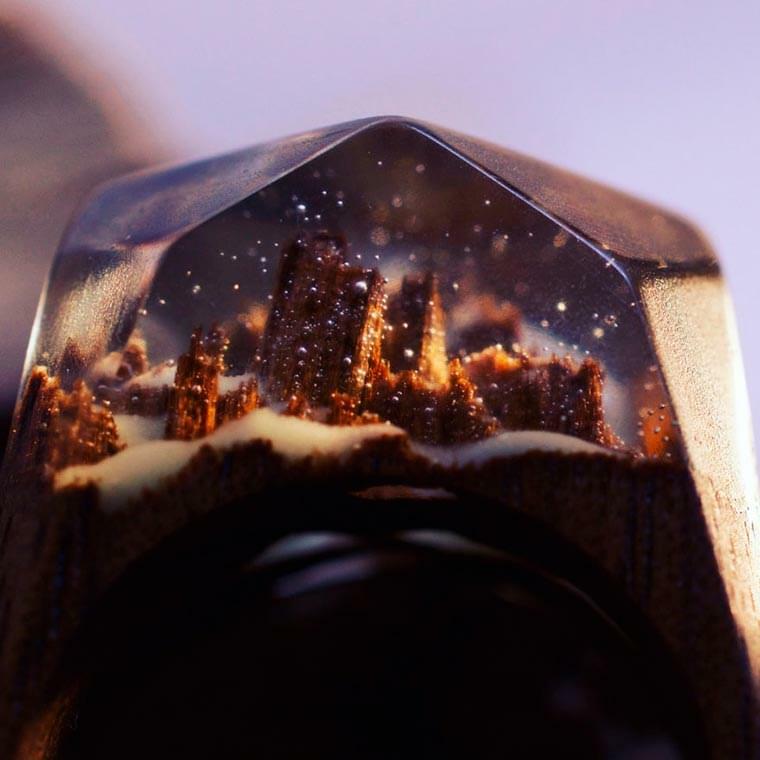 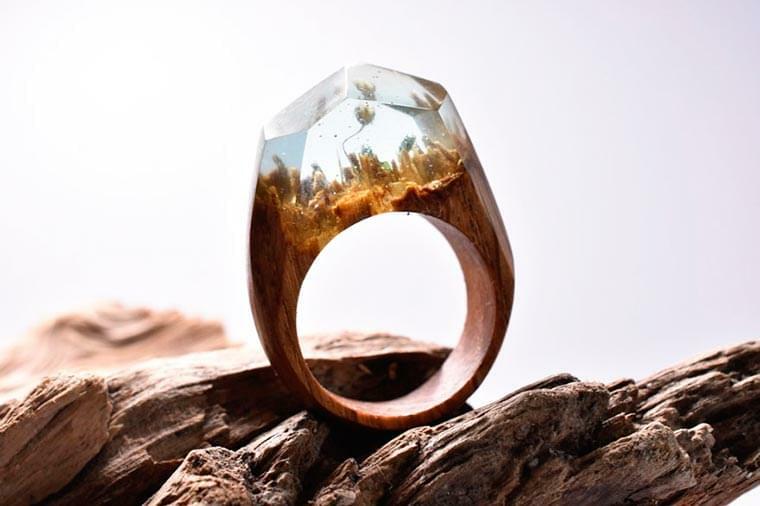 Here are the creations of the design studio Secret Wood, which imagines some miniature universes inserted into beautiful wooden rings. 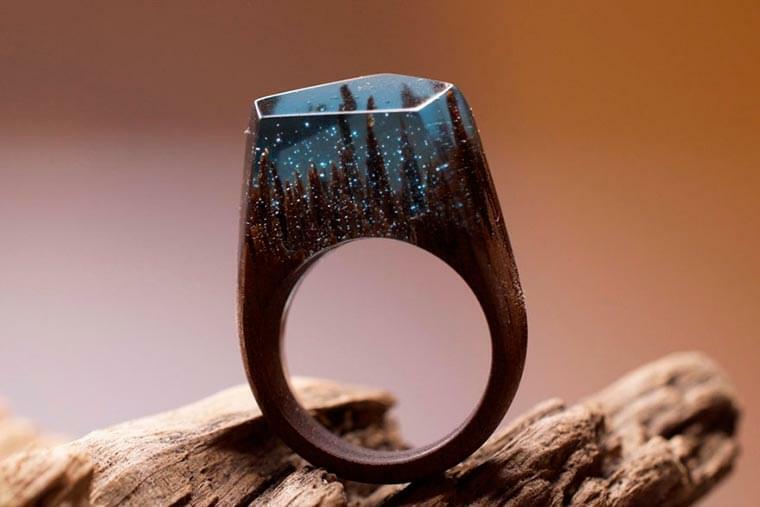 These delicate and unique objects are created entirely by hand, thanks to a mix of wood, resin and beeswax. 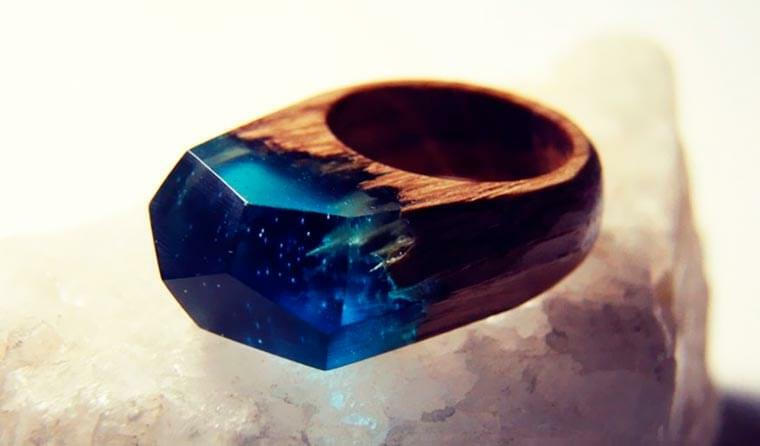 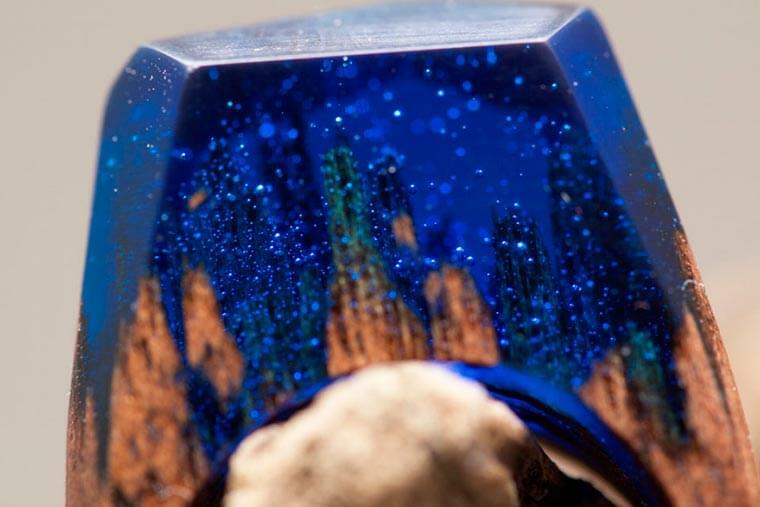 The result is simply beautiful! 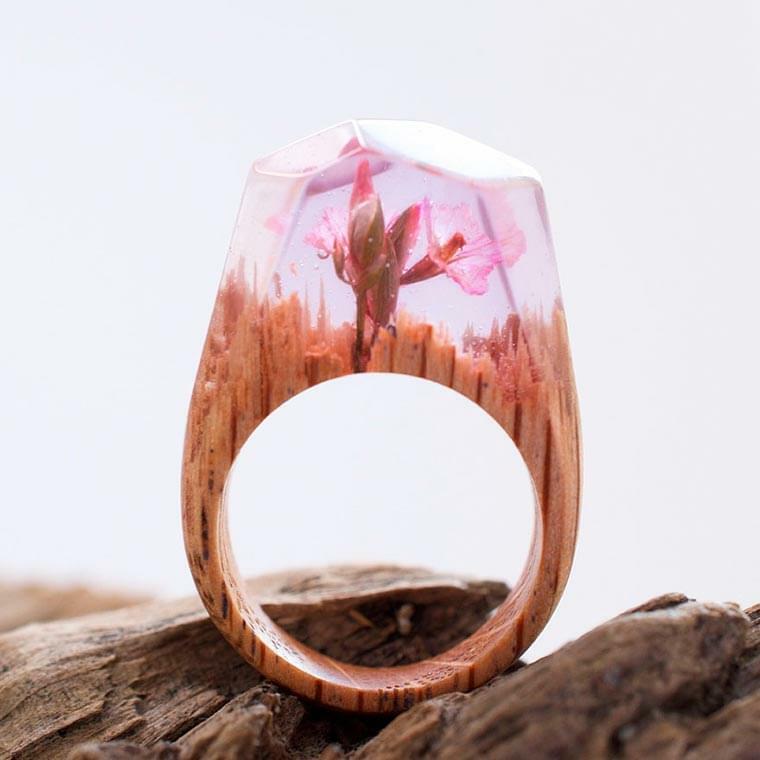 I also recommend you the series Diorama Jewelry from designer Isabell Kiefhaber.